I know what you’re thinking: you want to jump in and start using them straight away. Here’s how to do it! 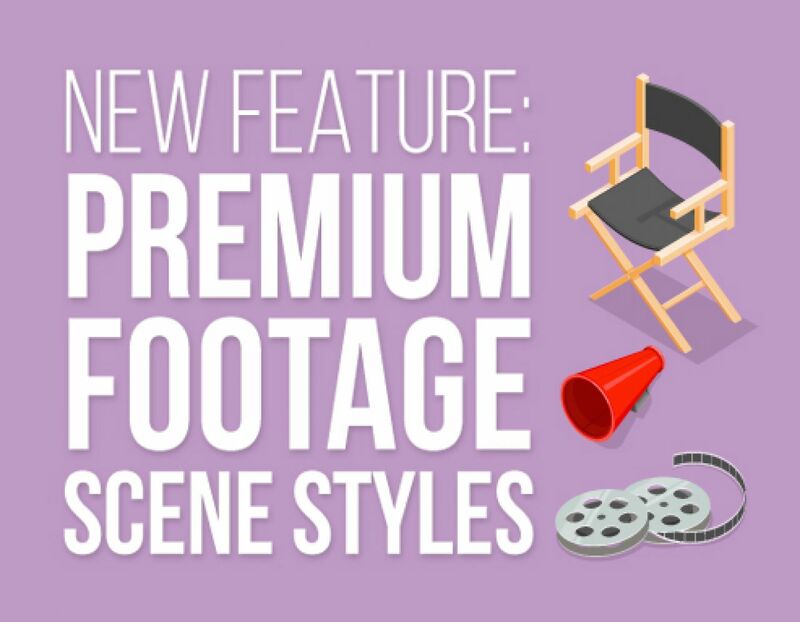 Log in to your Premium account and start a new video, then add a scene to your timeline. Choose ‘Footage’ from the scene type menu on the left, then enter what you’re looking for into the search bar. I’ve entered ‘parrot’ in the example below because parrots are cool. 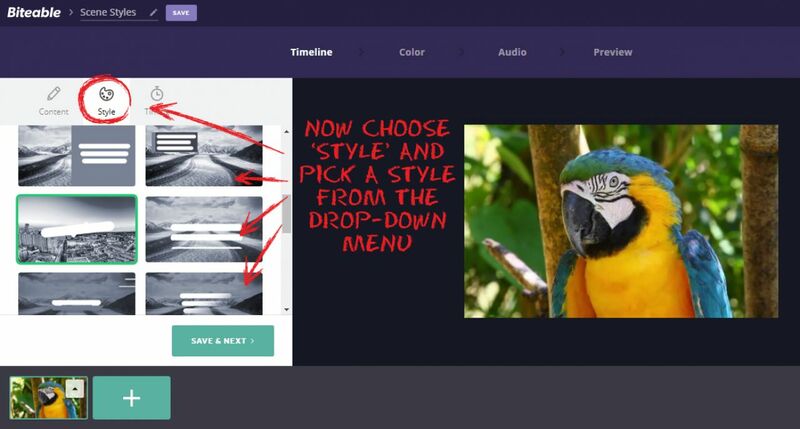 Choose ‘Style’ from the options on the left, and you’ll get a drop-down menu of each different scene style. Hover your mouse pointer over each thumbnail to see what the style looks like in action. Click on the one you like best, you’ll see a green line around the edge to show when it’s been selected. 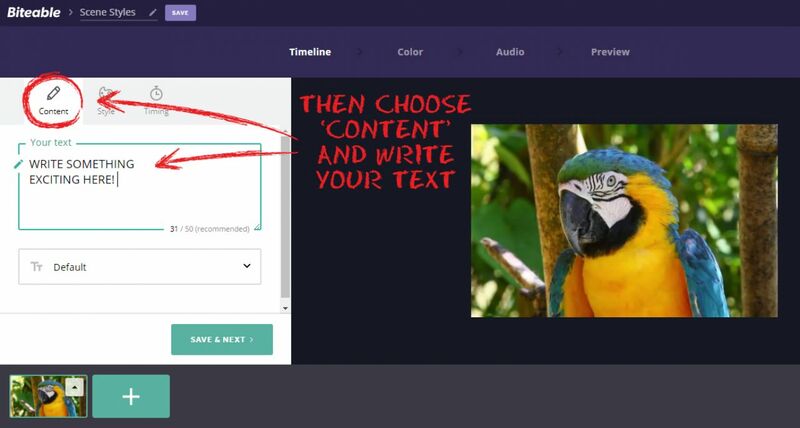 Now select the ‘Content’ button and write your text. 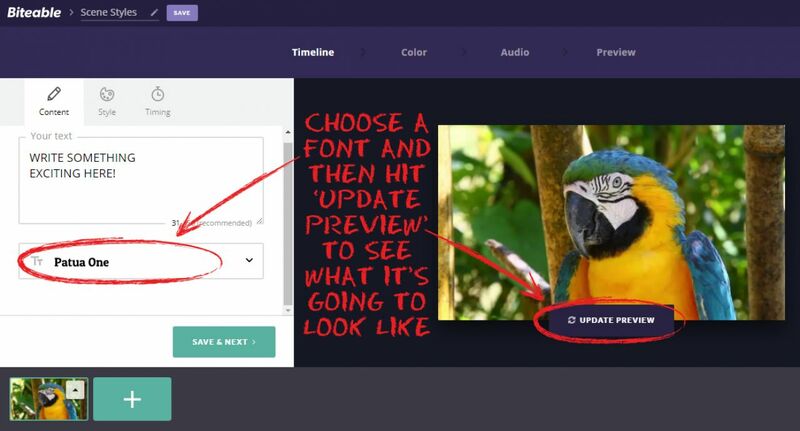 Choose a font from the drop-down menu, then hover your mouse pointer over the footage thumbnail to see the ‘Update Preview’ button, and click it to see what your text will look like on screen. 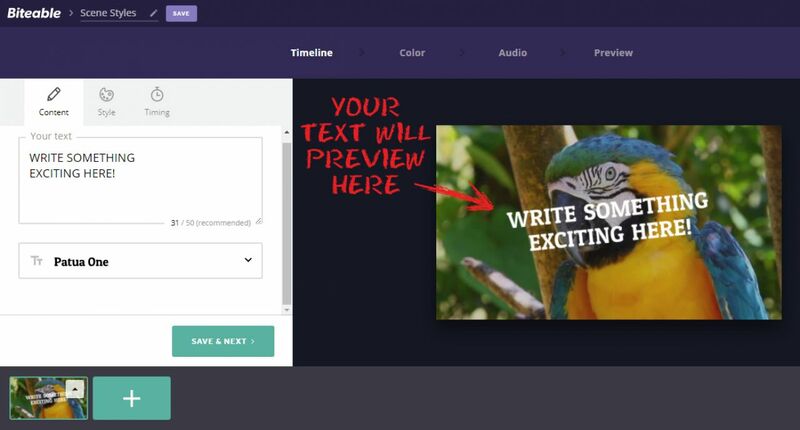 Once you’re happy with the way your text will appear, add as many more scenes as you like, then choose your colors, (bear in mind the type color is set to white for almost all of these new scene styles,) select your audio and you’re done! And if all of that wasn’t enough, we’ve got a raft of new scene styles in the works, so stay tuned for more fun stuff!